At the time I was wandering around in a museum in Chicago, so that weekend was spent researching patterns and yarn in between sight seeing and eating hot dogs. 1. It needed to look right! This meant getting the stitch and the colour pretty accurate. 2. It needed to fit within the production company's budget. 3. I needed to be able to make it in a few weeks. Someone told me recently that constraints set your creativity free, and while it sounds like a contradiction, it turned out to be pretty true. These three elements ended up affecting basically every aspect of making the blanket, and allowed me to flex my problem-solving skills. The first thing I needed to settle on was yarn. I'm usually averse to acrylic, but I went for it to fit into the budget. The next thing I was optimising for was the look - I wanted to use the same yarn for the whole blanket which meant I needed a yarn that had a yellow and white that looked correct. I spent a decent chunk of time in the yarn department at my local Michael's - it turned out that finding a nice pearly white was harder than finding the right yellow, but thankfully Caron Simply Soft had good options for both colours. - Afterthought Yarn Over: This was a new one to me, which I found on Knitting Help's Increases page. It knits up quickly and leaves a smaller hole than a normal yarn over. For speed's sake, I started off with the afterthought yarn over. It was nice and quick but the holes were still quite noticeable, so I ended up going with the M1. Caron Simply Soft is 10 ply (worsted weight). Given how big a blanket I was making I needed something very thick, so I played with holding several strands together. I've made a large, super chunky blanket before so I tried three strands together on a 10mm (US 15) needle, but it was way too unwieldy and the waves ended up being huge. So I ended up using two strands at a time, which looked great. Once all the elements were in place, I just had to knit it. And boy, did I have to knit. I ended up knitting so much, so quickly that I actually made my arms quite sore. Blocking something this large was quite a task too - I had to hang it up on my balcony rail. But at the end of the day, it worked out quite well! Sarah initially had to keep the venue for the job she was doing under wraps, but it turned out to be a set at the Google pop-up store in Manhattan. 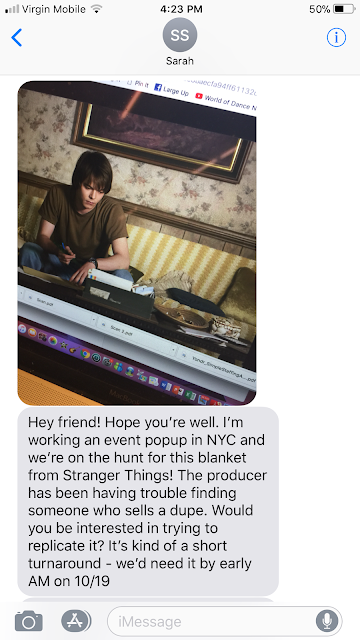 I went and visited at one point and it looked absolutely stunning, and so many people saw and used the blanket! I found a few news and events websites that were featuring it too, which was pretty neat. Overall, the blanket was a pretty fun experience. I learned a lot from the design, and given that knitting patterns for this style of blanket are rare, the next logical step was to share it with all of you. If you'd like to cast on, you can find the pattern on Ravelry or Etsy. It's available as an individual pattern or as part of my Deep Winter '18 collection, which will get you Something Strange as well as the Stepping Stones Scarf pattern. Happy knitting! When I learned to make mittens, the tutorial I found involved creating a thumb without a thumb gusset. I didn't know this at the time but it turns out this is called an afterthought thumb - probably because you do minimal work to set up for it! I love afterthought thumbs. They're a great way to get in to mitten or glove knitting. This tutorial assumes you're following a pattern (like my Starry Starry Mitts) that use an afterthought thumb. It'll have details in it on how many stitches to knit on scrap yarn and how far into the palm you need to start the thumb stitches. First off, as you're knitting the main part of the glove, you'll set up a hole that you'll knit the thumb into later. The pattern will say something like this: knit 8 stitches with scrap yarn, transfer stitches back to the left hand needle, then knit stitches with main yarn. Let's break this down step by step. You'll need some scrap yarn. If you can, use a slippery yarn like cotton to avoid it felting with your main yarn. It also helps to use a colour that's very different to your main yarn so you can see it more easily later. When you get to the thumb stitches, join your scrap yarn to your project and knit the indicated number of stitches with it. Then, slip those stitches knitwise from the right hand needle back onto the left hand needle. Leave a couple of centimetres for a tail and cut the scrap yarn. I also like to tie the two ends of the scrap yarn together. 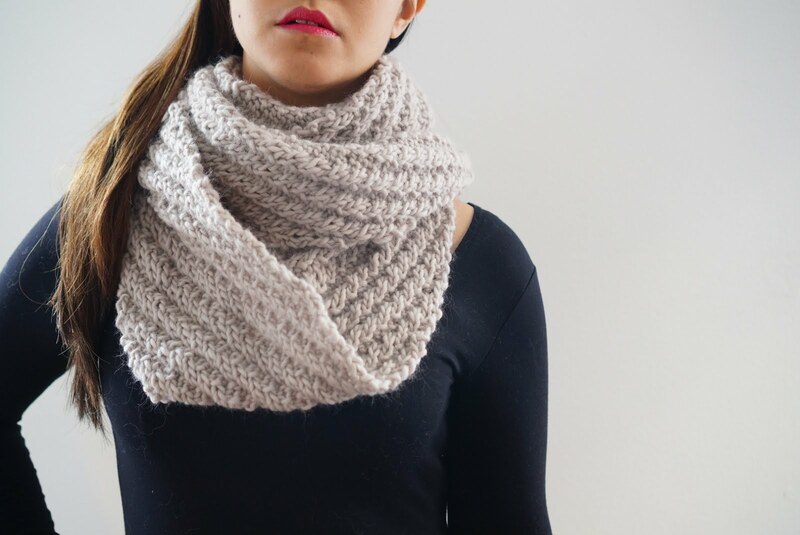 Now, pick up your regular yarn and knit all the scrap yarn stitches. That's it! Leave the knotted ends hanging on the inside of the mittens, and finish the rest of the mitten hands. When the main part is done, your pattern will tell you to pick up the stitches around the thumb hole. Use a long cable needle for the magic loop method or DPNs. Take your needle and insert it into the left leg of each of the stitches in the row directly above the scrap yarn section, working from right to left. You should have the same number of stitches on your needle as the number of stitches you knit with the scrap yarn. Then, if you're using a long circular, pull it so the stitches you just picked up are on the cable and your needle is free of the stitches. If you're using DPNs, just pick up another DPN. Turn your work upside down and using the needle, pick up the right leg of each of the stitches in the row directly above the scrap yarn section. Again, you should have the same number of stitches on your needle as the number of stitches you knit with scrap yarn. Now turn your work back the right way up and reach in to the glove to grab the knot you made in the scrap yarn ends. Cut it off. Then use a spare needle to unpick the scrap yarn stitches. At this point, you have a hole for your thumb, and your stitches arranged on your needles ready to be knit. 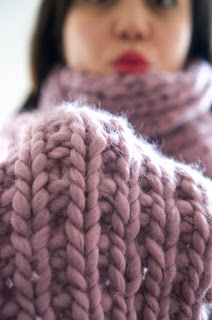 Join your main yarn back onto the project and follow your pattern to knit the thumb. When your thumb is finished, you may notice some small holes in the corners of the thumb. You haven't done anything wrong - it's just unavoidable with afterthought thumbs. When you're weaving in your ends, use the yarn tails to sew the holes shut. One tip: To avoid these holes I like to pick up an extra stitch on the outer edge of each row I pick up. So if the pattern said to knit 8 scrap yarn stitches, when I pick the stitches up I'll pick up the stitch to the left and right of the 8 for a total of 10. Some patterns will tell you to do this, but some don't. If you do this but the pattern doesn't say to do it, make sure to decrease the extra stitches you created in the first or second round of the thumb. If you'd like to try an afterthought thumb out, check out my Starry Starry Mitts pattern! Double brim beanies are lovely! 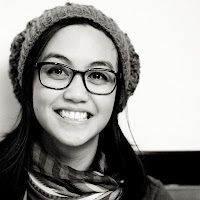 Until I discovered them, I felt like all of the brims on beanies needed to be made up of ribbing. 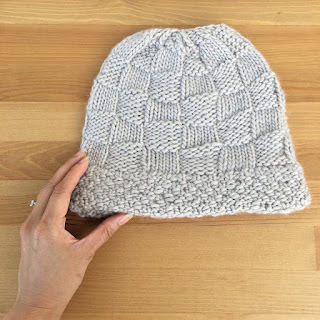 With double brims, though, you can use any stitch you want without the ends curling up, and they create a nice thick fabric so they stay snug even without being ribbed. To begin a double brim beanie, decide on your stitch pattern, how many sts you’ll need and how long you want the brim to be. Cast on in the round using a circular needle and a provisional cast on, mark the first st of the CO with a removable marker, and work the brim until it’s as long as you’d like it to be. Then work a row of purl sts. These are are optional, but they help keep the bottom edge of the brim neat. Work the same number of rows as you did before the purl row. Place the a quarter of the sts of the provisional cast on to a spare DPN. Remove the stitch marker and any waste yarn used for the provisional cast on from these sts. Fold the brim along the row of purl sts so the sts on the DPN are on the inside of the round, behind the live sts. Line them up so the first stitch on the DPN is behind the first st of the round. You will now knit the first stitches on both needles together. Step 1. Insert the right needle of your circular needles into the first stitch on the front needle, then into the first stitch on the DPN. Step 2. Wrap the yarn around the right needle as if to knit. Step 3. Pull the yarn forward through both stitches. Step 4. Drop the first stitch off both left hand needles. You have completed one stitch. Repeat steps 1-4 for the remaining pairs of stitches. Place the next batch of stitches of the provisional cast on onto the DPN, and repeat the process. Continue until all stitches have been knit together. Before knitting the last few sts closed, make sure the tail of your CO is tucked into the inside of the double brim - no need to weave it in to your work. And you’re done! 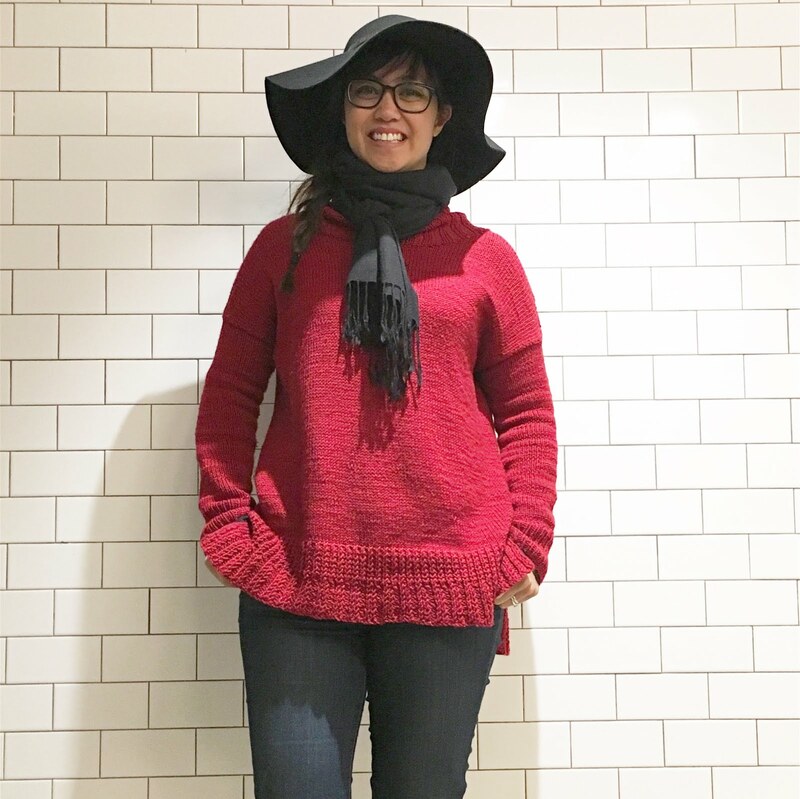 Now knit the body of the hat however you like, and you’ll have a beautiful snug double brim beanie. After getting a bit obsessed with their Cotton and Petite Wool, I bought a couple of balls of We Are Knitter's Wool to see what it was like. I was a bit hesitant to try it at first since I'd never worked with yarn that was so chunky before, but I decided to give it a go anyway. 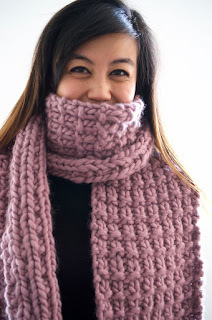 I knew I wanted to try something textured but it can be difficult to do with super bulky yarn can since the thicker yarn gets, the less stitch definition you get. After trying a few different combinations of knits and purls, I finally hit on this stitch that I'm calling "Expanded Rib". 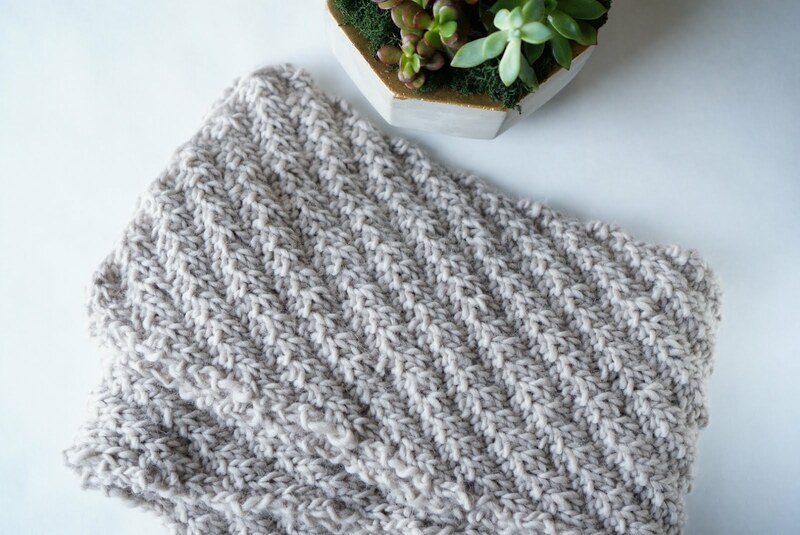 It's ridiculously simple but it results in a really nice variation on seed stitch that looks completely different and equally lovely from both sides. The scarf itself is the definition of cosy. I can see what all the fuss is about this yarn now - it's so soft and warm, and there isn't an itch in sight. You can use any super chunky or jumbo yarn that knits up to the right gauge though! Welcome to a new series on how I write patterns! I'm going to go through the steps that I took to write a sweater pattern. This is Part 1: Inspiration. It's the first jumper I've made, and I love it. But there are only so many times I can wear it in a week without it becoming conspicuous, so I decided I needed a new one. Enter the Necessity Jumper. I came up with the name for a couple of reasons. First off, I made it out of necessity because, well, I'm cold. Secondly, the amount of yarn I have in my apartment is reaching breaking point so I really need to use some up. Lastly, some of the design choices were made because I needed to save my sanity and not knit an entire jumper's worth of stockinette. I made a Necessity Jumper board on Pinterest with all of the images I used for inspiration. But if you'd like more of an explanation, read on! So friends, another year's over, and while 2016 was a bit gloomy I actually had a blast. It was so full of adventure and achievement, because after years and years of scheming, I finally got this little creative venture of mine off the ground! 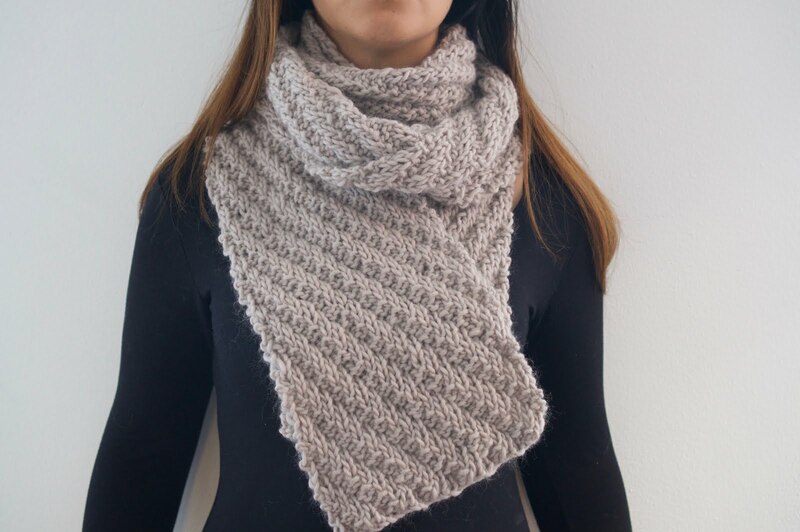 I published my first knitting pattern. I pivoted my Instagram account to focus on my knitting. Why, hello there. I'm Kat, and welcome to my blog. 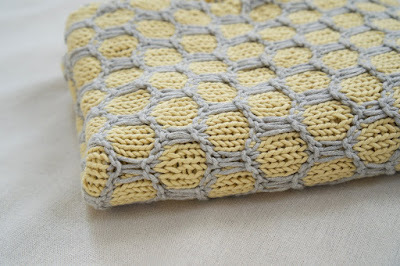 You'll find all sorts of things to do with knitting here - tutorials, patterns and the projects that I'm working on. I hope you have fun with it, and thanks for stopping by!